Weekly environmental news roundup from across different media networks for week 07 (starting February 09, 2015) 2015. The Delhi high court on Monday sought responses of the Centre, Delhi Pollution Control Committee and civic agencies on rising levels of air pollution in the city. 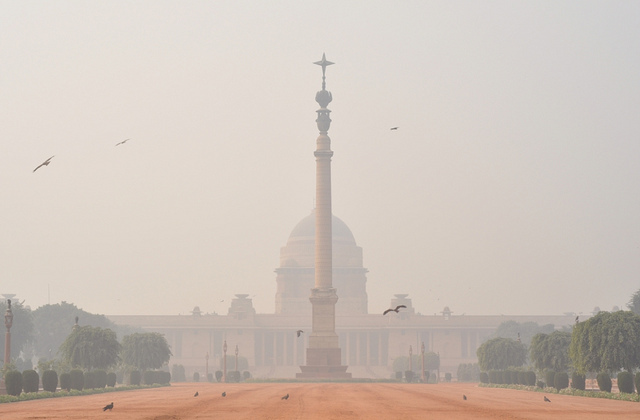 Environmentalists are hopeful that the new government in Delhi will take necessary measures to check air pollution. Stating that the levels of air pollution in the national capital are “alarming”, the Delhi high court on Wednesday directed the state government’s geospatial unit to provide a detailed pollution map of the city since 2010. Air pollution is one of the vital issues that the new government will have to address as soon as it is formed. Several Indians and Delhiites are likely to participate this week in the Great Backyard Bird Count, a global event in which people from across the world will report the birds they spotted in their backyard or neighbourhood. India on Friday signed an agreement with World Bank for an assistance of $8 million to take up various adaptation measures in rural areas to deal with the threat of climate change. Delhi had planned for a riverfront for Yamuna as early as 1913 to give the new capital an aesthetic promenade from Wazirabad in the north to Indrapat (Purana Qila and its surroundings) in the south. The energy needs of the occupants of 100 beds–including air conditioners–will be met by the sun at Holy Family Hospital, a missionary nursing home in Okhla. The BJP government in Haryana wants to bring the issue of earmarking 500m buffer around Mangar Bani in Aravalis as “no-construction zone” back to the NCR Planning Board for review. Lower crude prices usually spell trouble for renewable energy projects as both institutional investors and Big Oil lose economic incentive to go green. Hitting back at critics who have questioned India’s tiger census methods, experts involved in the process said the big cat numbers revealed in the exercise were credible and backed by a rigorous process upheld by scientists from across the world. Thousands of flamingo eggs have been found abandoned in one of the six breeding colonies in the Little Rann of Kutch (LRK). The six-day session of ADP, United Nation’s subsidiary body on climate change, has concluded here with nearly 200 member countries adopting the 86-page text as the basis for negotiation on reaching a climate agreement in Paris scheduled to be held in December. Image by generalising via Flickr over Creative Commons.